16th annual Nutmeg Dulcimer Festival. The Nutmeg Dulcimer Festival is held every October in southern Connecticut. We are a Friday-Saturday festival, with a full program of workshops for hammered and mountain dulcimer players of all levels. In addition, concerts both evenings are open to the general public. We believe that hammered dulcimers and mountain dulcimers are among the world's most wonderful musical instruments. They're fun to play, and fun to listen to. They belong in both folk music and popular music. Our mission is to bring dulcimers and dulcimer music into public awareness. A unique combination rooted in Appalachian and Asian music traditions with original composition and inspired improvisation. Some of you will remember Jeff from when he taught at Nutmeg 5-6 years ago. Marina Albero plays hammered dulcimer (and all kinds of keyboard instruments), with influences from jazz, flamenco, early music, and more. She grew up in Spain, and moved to Seattle four years ago. 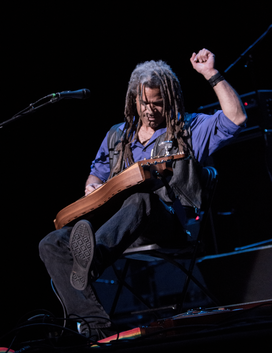 Before Nutmeg, there was the Housatonic Dulcimer Celebration, and for our 15th anniversary, we're thrilled to have two of its leaders as a featured duo. Both also perform solo, but they make particularly beautiful music together. Rob Brereton is a pioneer in contemporary mountain dulcimer playing, especially "standards" and early jazz tunes -- who also excels at traditional American and British folk music. 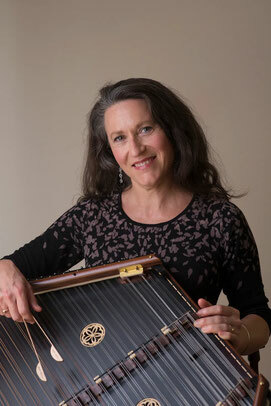 Thomasina is a singer, songwriter, and former Connecticut State Troubador who blends traditional and contemporary folk music. Her music has been aired in over 20 countries. And, in fact, she has a brand new CD called Parallel Universe.